Welcome to an ultimate police car training adventure of 2016. 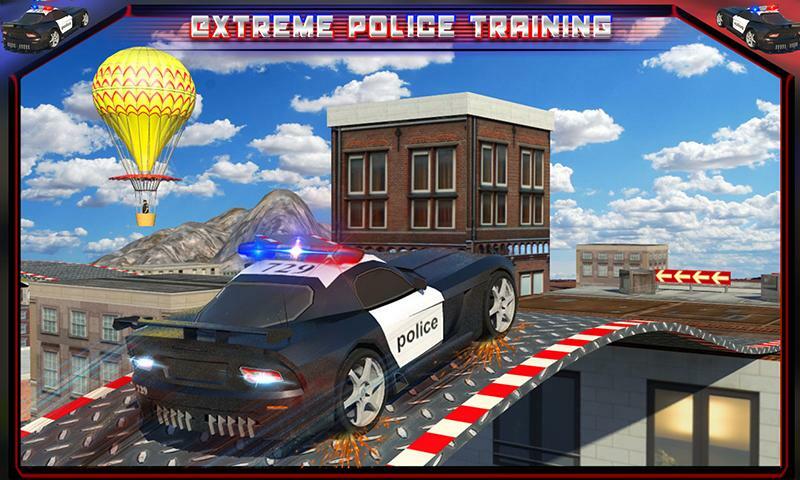 Enjoy the theme of car stunt games and tighten up for an exhilarating car roof jumping ride. 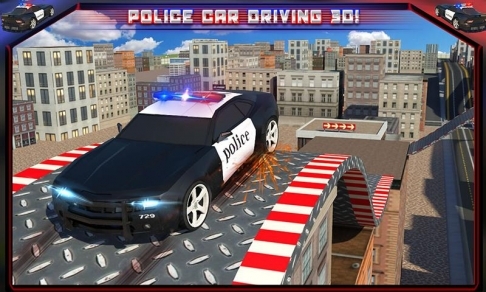 In this car stunt 3D game, you will get taste of realistic police car training while performing roof car jumping stunts making it one of the modern police training games. 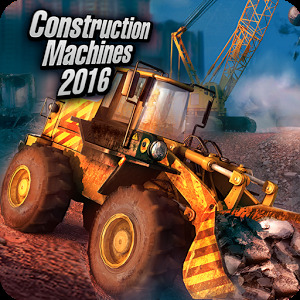 You’d love the thrill of stunt car 3D experience as the game brings you the best of stunt car games with realistic HD graphics and sounds. This car roof jump game stands out from other police training games as it has the contemporary and latest police car driving training missions. 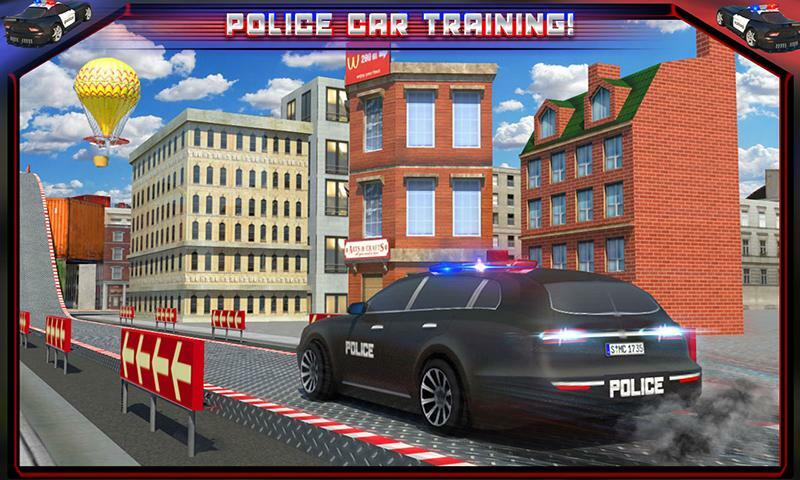 Police car games have never been this much fun! Yes! 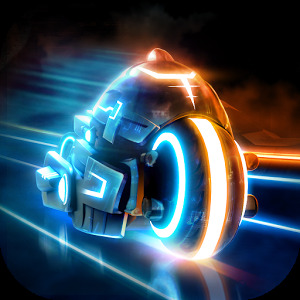 We bring you the best of stunt car 3D games to step up and drive through treacherous obstacles. So buckle up and download a free edition of police car games named POLICE CAR ROOFTOP TRAINING, an ultimate car roof jump game! •	15 exciting missions involving police cop duty training. 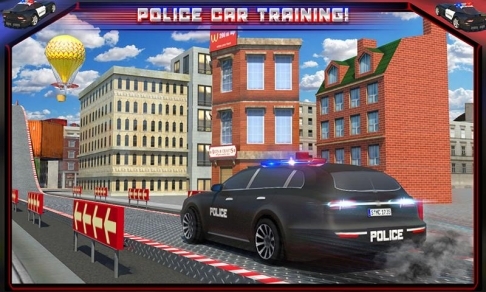 •	Immersive game-play having a blended theme of police car driving simulator games with stunt car games. 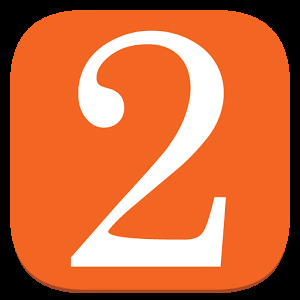 •	Two environment modes i.e. 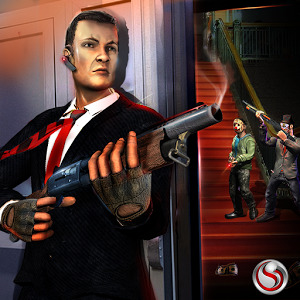 day mode and night mode; a pleasing twist to roof top games. 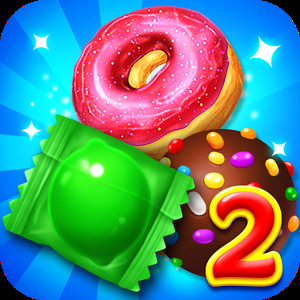 •	Avoid bumping into the obstacles & barriers and save your health bar. 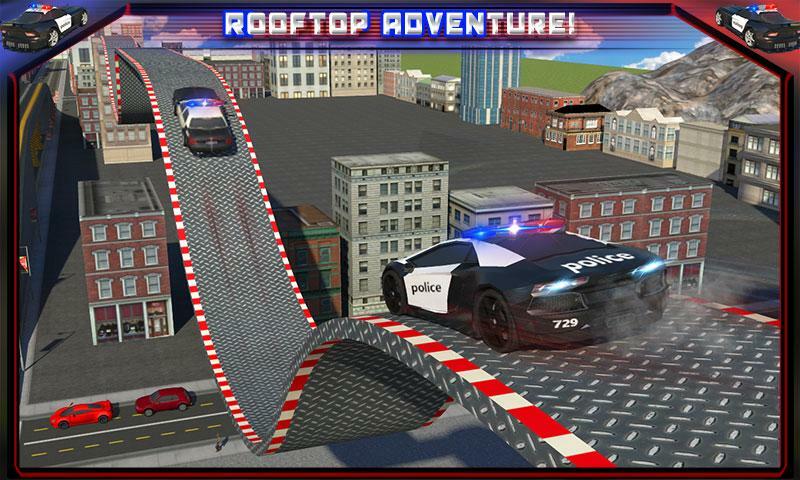 •	Incredible HD graphics specially designed for rooftop car games theme. 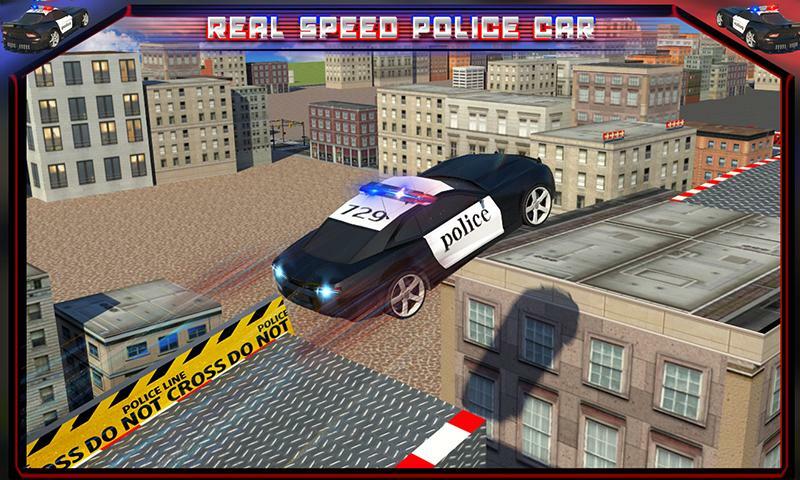 This car roof jump game is all about going through severe police car training. Get to feel the adrenaline of these mad car roof jumping missions in one of the paramount car stunt games. 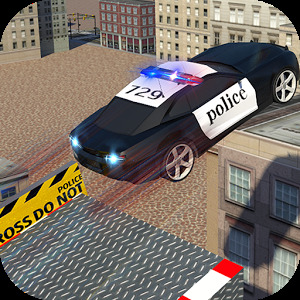 Take the fun of insane car driving to another height with an ultimate police car games 2016 edition blended with police training games fun. 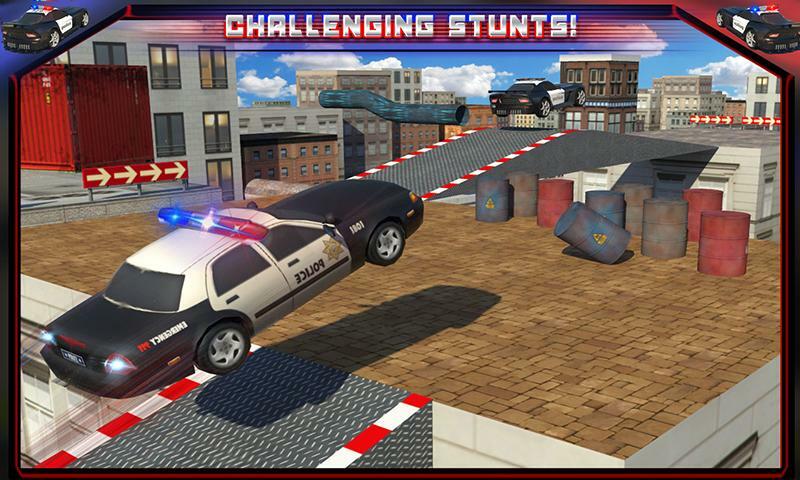 POLICE CAR ROOFTOP TRAINING is the newest and most wanted car stunt 3D game that you'll want to play!